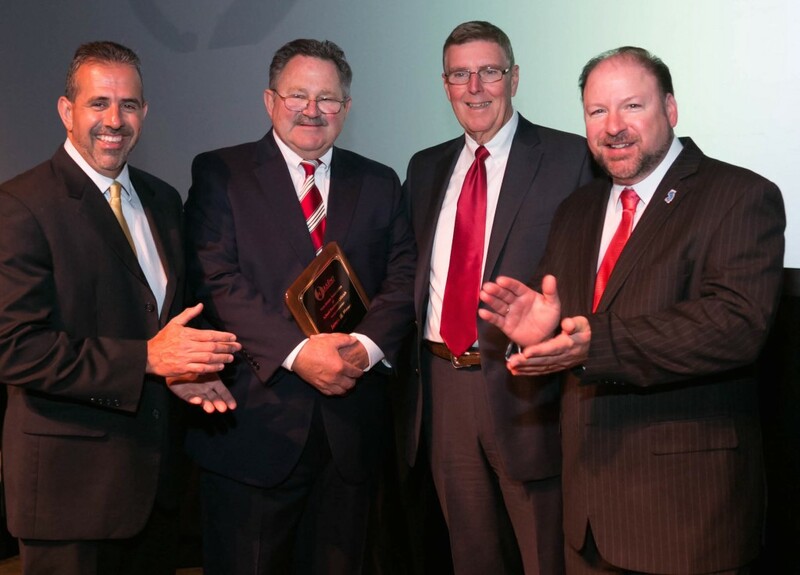 Lenape Regional High School District (LRHSD) Business Administrator (BA)/Board Secretary and Medford resident James “Jim” Hager recently was honored by the New Jersey Association of School Business Officials (NJASBO) with a 2016 Distinguished Service Award for his long-term, continuous exemplary service. As part of the award, Hager had the honor of presenting a $1,000 scholarship from NJASBO to a student at Seneca High School in Tabernacle. Among just six Distinguished Service Awardees statewide, Hager has served as BA/Board Secretary for Lenape Regional High School District since 2003. Previously, he served in the same role for Pemberton Township Schools from 2001 to 2003, and Bridgeton Public Schools from 1999 to 2001. From 1986 to 1999, Hager worked at the New Jersey Department of Education, moving from Assistant Manager of the Bureau of Program Approval in the Division of Special Education when he was first hired, to the Division of Field Services’ County School Business Administrator for Burlington and Gloucester Offices when he left.